Product: Miro Model 3-R-4 Pipe Guide / Strap. Aluminum Pipe Straps Fit Model 3-R-4 Pipe Support System. Includes two #8 Stainless Steel Screws. Price/Each. 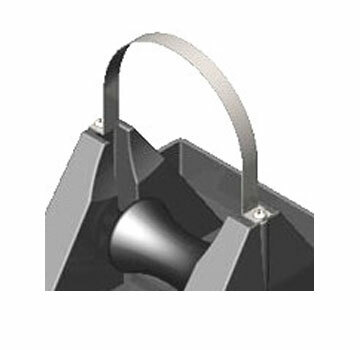 Product Description: MIRO Industries pipe straps are designed to attach to the MIRO Industries pipe supports so as to allow pipe to come out of or be displaced from the pipestand. All pipe straps will ship separately and need to be installed on site. It is important to note that pipe straps should not be rigidly attached to the actual pipe that is placed in the pipestand, thus allowing for expansion and contraction to occur within the pipestand. Strap material is a .040 aluminum 5052 allow temper H32 ASTM B-209-0. Included are #8 Phillips head stainless steel screws that are used to mount through the pre-punched holds in the strap into the polycarbonate pipe supports. Hardware: #8 Phillip head stainless steel screws.